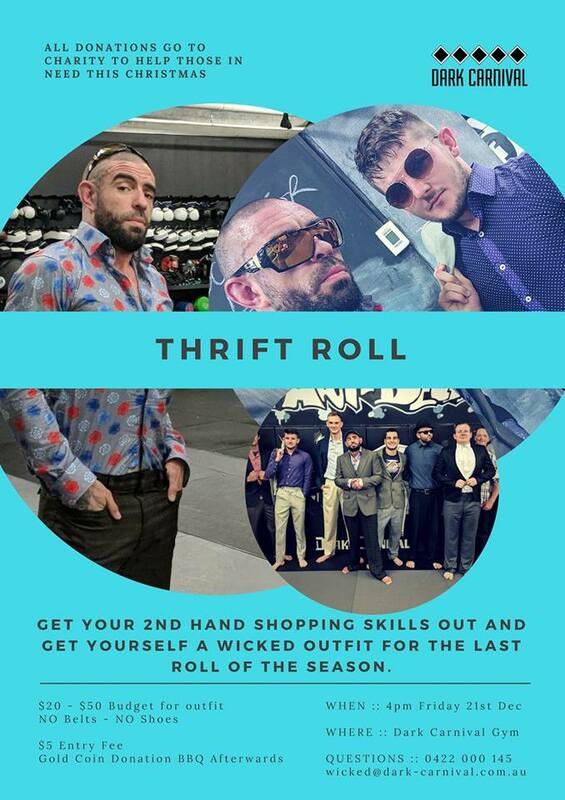 Hit up your local Vinnies/Salvos/Charity shop, spend $20-$50 on an amazing outfit…and sport it for an afternoon of laughs, rolling and sparring. BBQ and drinks supplied to wrap up an awesome year and an even more awesome event. Location: Dark Carnival 69 Dundas Court, Phillip ACT.